Update: Sounds like we might see some webOS-running TVs during CES 2014, or at least early next year. That's coming from sources of The Verge. The system, which should find its way into LG's main TV products, will ship to 82 countries in multiple sizes and with variable pricing. Among the flurry of news gusting out of MWC 2013 in Barcelona today, LG and HP announced an inked deal to transfer ownership of the open source webOS, opening a whole new world for the largely left for dead OS. In a joint press release, both companies confirmed LG's purchase of the Palm-created operating system from HP in an agreement of undisclosed details. After ditching the webOS-based TouchPad, HP is allowing the system to live on with a new owner, though perhaps not in the guise consumers would have expected. LG's plans for its purchase, at least to start, will center on the living room. "To support its next-generation Smart TV technology, LG has entered into a definitive agreement with HP to acquire the source code, associated documentation, engineering talent and related websites associated with webOS," the press release read. In addition to the aforementioned, LG will also pick up licenses under HP's intellectual property, including patents from Palm that cover the fundamental operating system and user interface technologies. TV is LG's first focus, but according to Samuel Chang, vice president/general manager of Innovation and Smart TV at LG, the company isn't ruling out other options, including phones. "We see usage in things like digital signage and digital display technology, but we will keep our eyes open on other device opportunities," he told TechRadar. Chang said that among the benefits of webOS for TV, the card user interface will likely make its way into LG's Smart TV technologies. While there won't be a webOS-based TV from LG this year, it will come very soon, Chang said. HP, meanwhile, retains ownership of Palm's cloud computing assets, including talent, infrastructure, source code and contracts. Senior Vice President Martin Resau told TechRadar on the same call as Chang that HP will be able to utilize LG's webOS advancements. "We even hope to co-innovate on certain parts," Resau, who also ran HP's webOS unit, said. While LG has a new system to play with, the SVP explained that strategically, it makes sense for HP to focus its energies on cloud for enterprise use while LG develops webOS. LG has enjoyed a tight relationship with Google when it comes to developing Android-based televisions, so the webOS agreement is, on the surface, somewhat curious. However, Chang explained the purchase and use of webOS won't change the LG and Google TV dynamic. 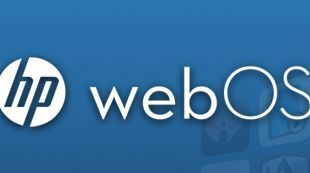 "We will continue to support that product, and our relationship does not change with [the purchase] of webOS," he said. Instead, the move is part of a multi-platform strategy that LG plans to continue implementing. With the deal, which the execs said has been in the works for about six months, LG plans to add Sunnyvale, Calif. and San Francisco locations to its existing R&D cites. It's already set up shop in the U.S. in San Jose, Calif. and Chicago. Under the agreement, LG will assume stewardship of the open source projects of Open webOS and Enyo. And Palm users need not fret they'll be left in the lurch: HP will continue to support them.